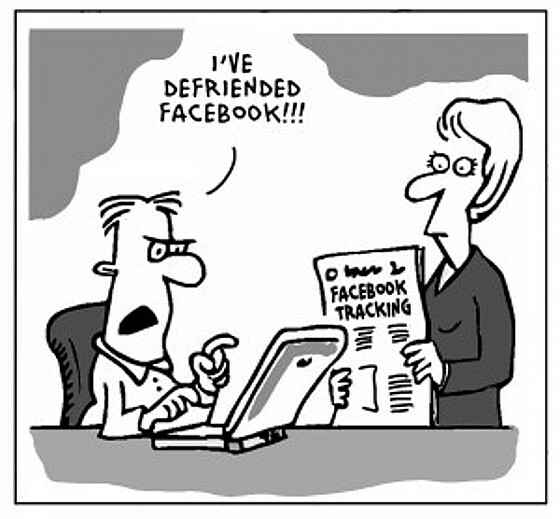 That cartoon comes from an article chillingly titled Facebook Tracks Non Users Too. My life since defriending social media has been bliss. Gone is the endlessly recycled anti-Brexit and anti-Trump juvenilia*, the up-close-and-personal selfies from critics I have no desire to get up-close-and-personal with, the daily plugs for crowdfunded projects, and Norman Lebrecht's fake news. And what a pleasure not having all those egos strutting across my computer screen. * Please note I voted 'remain'. New Overgrown Path posts are available via RSS/email by entering your email address in the right-hand sidebar. Any copyrighted material is included for critical analysis, and will be removed at the request of copyright owner(s).